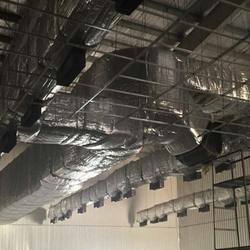 Prominent & Leading Manufacturer from Chennai, we offer gi ducting system, ms ducting system, large industrial ducting system and exhaust ducts. With the help of our experienced team of professionals, we have been able to manufacture and supply our clients a wide collection of GI Dusting System. It is designed and manufactured by our skilled professionals in compliance with international standards using high-grade mild steel, aluminum or special alloy and latest technology. Our offered ducting is available in both belt drive and direct drive arrangement. 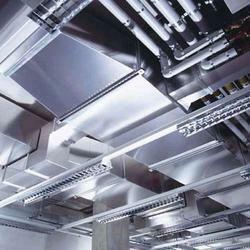 We are a trustyworthy organization offering a wide a gamut of MS Ducting System. 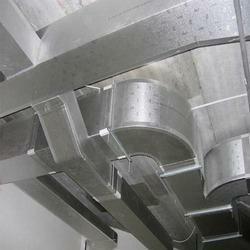 We are one of the trusted names to offer Industrial Ducting for our valued clients. Provided range of product is made from the high-grade quality raw material. Offered products are widely used in various industries. Offered range of products is highly appreciated and demanded by our clients. Moreover, customers can avail these products at leading price from us in the market. We are offering Exhaust Ducts to our client.Our quality controllers check each and every detail on well-defined quality parameters. Competitively priced, if need to be, the offered range of ducting is also facilitated with sound proofing and high degree insulation. Hot-dipped galvanized steel sheets of lock-forming quality are used for the manufacturing of standard ducts. Ducts are also available in both, stainless steel and Aluminum. In order to reinforce, all straight ducts have beading all along at a distance of 300 mm between them. 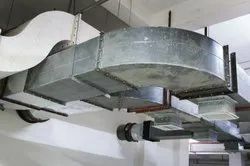 Looking for Industrial Ducting System ?